6 August 2014 – Ellesmere Port’s Whitby Road is becoming the first high street in the country to go digital. Cheshire West and Chester Council have teamed up with Google Trusted Photographer Ross Goldstein to create Google business views of the street’s shops – using the latest Google internet-based technology. Ross, who lives locally, is offering to create engaging and interactive 360-degree tours of shop frontages and views inside the business in a format similar to how streets are navigated in Google Street View. Helping to show viewers what’s on offer in the town, if all 60 businesses take the Council supported offer up, Whitby Road high street would become the first in the country to be fully operational within Google Business View. Executive Member for Economy and Culture, Stuart Parker, said: “This is a brilliant initiative which will really highlight what Ellesmere Port retail has to offer. Ross said: “I want to see my home town really flourish again and I believe that together we can make this happen. Mayor of Ellesmere Port, Councillor Brian Jones, said:” These business views will help people to take a virtual first step though the door of the Whitby Road shop whilst on their computer at home. The Council has also teamed up with mentor to small and independent businesses, Phil Smith. Phil, a local based retail expert, is offering individual expert sessions with shopkeepers how best to engage with their customers and showcase their retail offer. Phil’s sessions are supported by the Council, which has prioritised supporting local businesses in becoming more economically viable and attract new customers. Phil said: “I am absolutely delighted to support and share my business knowledge with independent retailers, who play a vital role in the revitalisation of Ellesmere Port town centre. European Social Fund supported courses are also being offered to high street businesses by Sara Challinor of Mooreskills, based at Pioneer Point. Sara and Phil are working together in tailoring businesses training needs so local retailers can benefit as much as possible from the opportunities. Sara Challinor, Director Mooreskills: “We are delighted to be supporting the retail businesses within Ellesmere Port. Having supported thousands of small retailers UK wide it is a pleasure to be working with small businesses in our home town to support growth and sustainability in the area. Local Councillor, Justin Madders, said: “In the fiercely competitive world of retail, shops need to explore every avenue to make sure they are doing the most to maximise their business. The Council’s focus on supporting high street businesses follows on from its recent investments in creating new businesses in empty shops along Whitby Road to help regenerate the area. The high street has been prioritised in the Vision and Regeneration Strategic Framework of the Ellesmere Port Development Board. For more information contact Jochem.hollestelle@cheshirewestandchester.gov.uk. 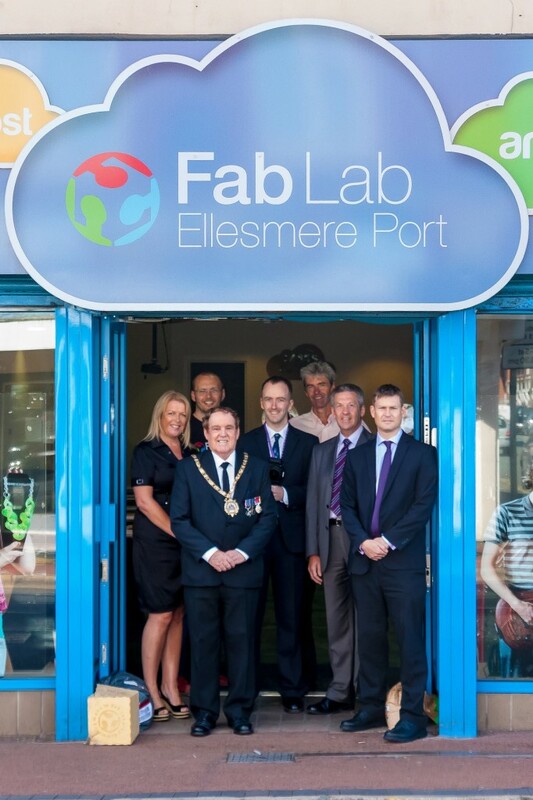 Photo Caption: Photo by Ross Goldstein, Left to right: Sara Challinor – Director Mooreskills, David Armson – FabLab, Mayor of Ellesmere Port, Councillor Brian Jones, Ross Goldstein – Google Trusted Photographer, Jochem Hollestelle (CWAC), Phil Smith – Retail expert and Councillor Justin Madders.